Great price and delivery was next day - really impressed with the shipping service. Item was really well packed - can't fault the service. Great price and fast delivery. Corvette’s back on the road. Once again, excellent service from Tanya Batteries. I bought this to replace the same one I bought back in Feb. 2011, so getting on for seven years is not bad. Really impressed with the service. Ordered at 10pm on a Tuesday evening and battery was delivered on Thursday at 9.30am. Very good product has green eye just like Orginal.Service was great.Except the delivery service used in Germany. This was a direct replacement for the battery that needed changing and I haven't had any troubles with it. Needed a new battery for my Corvette and other reviews were favourable, so was the price. So far, it fits, works and will hopefully provide years of powerful starting. As my Corvette is a weekender, I use a smart charger to keep my new battery always fully charged. Thanks so much for the speedy delivery,It fits my Corvette perfect, great service. No charging instructions so assumed was pre charged. Fitted to car and all was well but next morning battery was flat. Seems to be a great battery quickly and efficiently delivered. Excellent battery. Fitted my 1992 C4 Corvette perfectly. Amazing delivery, accurate website and fantastic price. 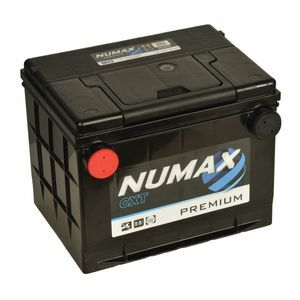 Good battery, always fit these to my American cars.